We are building PDFs for all six families of butterflies covering mostly the Andean countries, concentrating on Colombia to start. We plan to expand to cover the other Andean countries, especially Ecuador and Peru. We will include Central American species, particularly those from Costa Rica and Panama that may extend south into Colombia. We will also include lowland Amazonian species, especially those that range into the Andean foothills. We may also include some species from eastern Brazil, Atlantic forest specialities, or Guianan shield species from Surinam to French Guyana and northern Brazil. 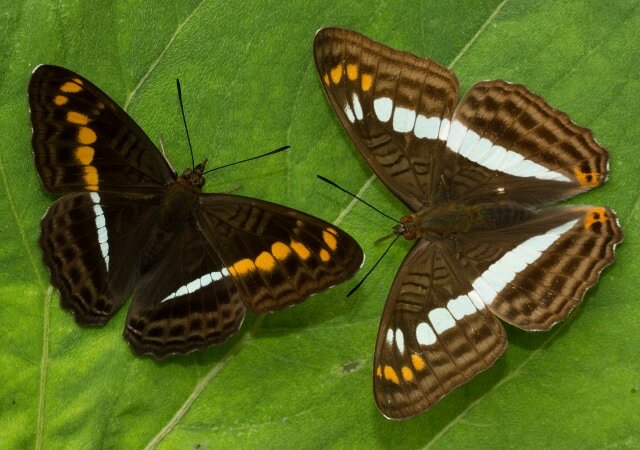 Our major goal is to help make people aware of the infinite beauty and diversity of the spectacular butterflies of the Neotropics, before they disappear forever. Please help to conserve and appreciate these wonderful insects. You can download PDFs for all families or for different genus in Colombia. Download the catalogs to your computer, laptop or mobile phone. 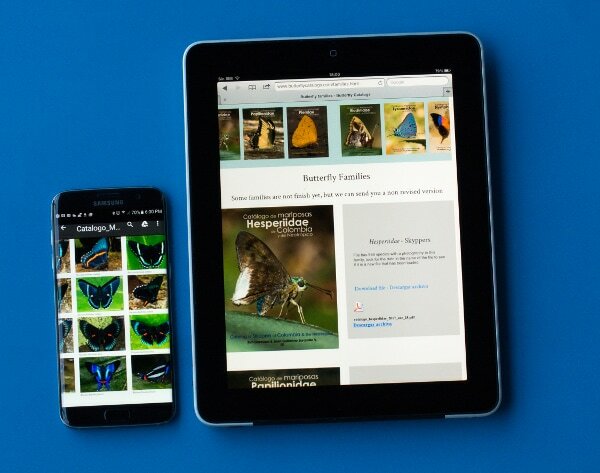 This catalogs in your mobile are perfect butterfly field guides.